Celebrate Earth Day on Saturday, April 22! Earth Day is observed around the world on April 22. The first Earth Day was celebrated 47 years ago on April 22, 1970. The goal is to fight pollution so can all have clean water to drink and clean air to breathe. Help your parents set up a separate bin to dispose of recyclables in your house, such as paper products and aluminum cans. These items can be re-purposed–meaning made into other “new” products, including recycled paper for notebooks and printers. Turn off lights and the TV when you leave a room to help conserve–or “save”–energy. Don’t litter. Garbage can end up in rivers and streams, killing fish and other wildlife, and destroying their habitat. Going shopping? Make sure to take your reusable bags. Encourage your parents to keep some in the car so you never forget! Plant some seeds, outdoors or for an indoor plant. Even better, plant a tree in your backyard with your parents help! Take a moment to reflect on what you can do to celebrate our planet on this very special day. Visit the GSCCC Activities page here to find meaningful ways to participate in a variety of activities. 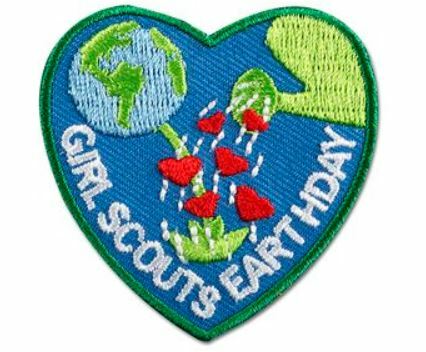 How will your troop celebrate Earth Day this year?